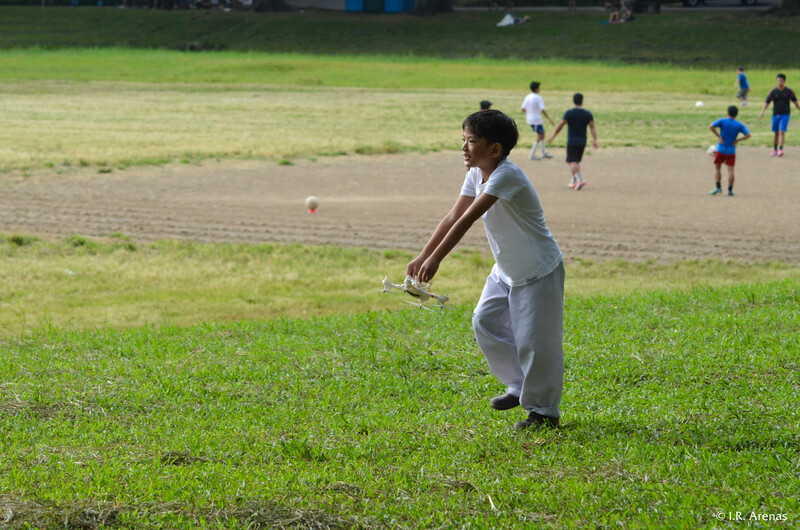 A kid holds a drone that his father (not in the picture) operates. 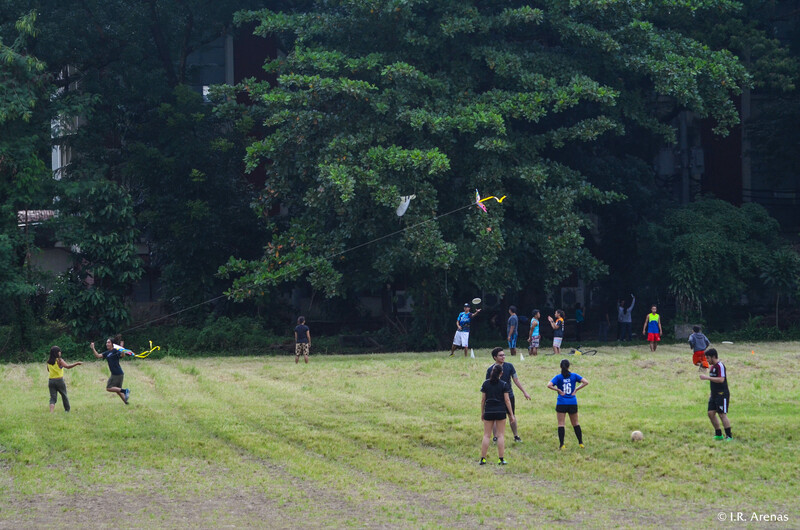 Three games in one frame: each group is taking a different activity – football, kite-flying, and Frisbee. 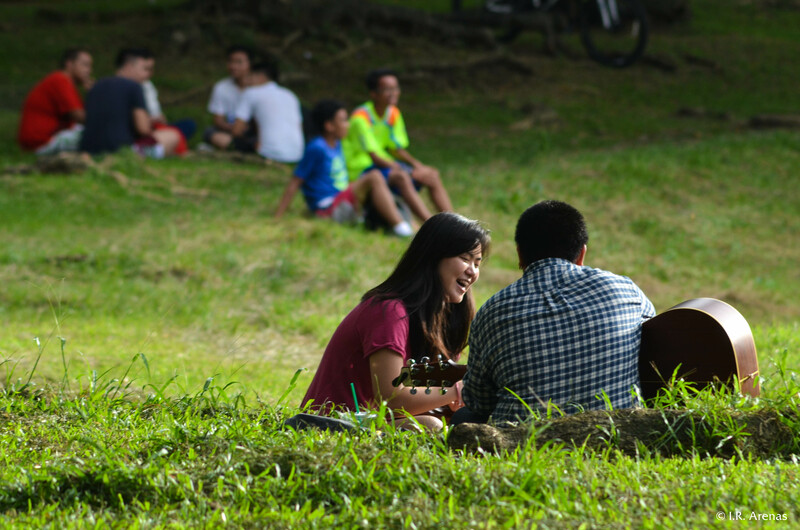 The Sunken Garden has been an enclave of merrymaking among students and residents of the UP area. Stories of amorous recreation done in this garden are also rife.